'Camping with the Wards' in AK always meant rain. The presence of thunder and lightning storms in Ontario kind of brings 'camping with the Wards' to a whole new ball game. 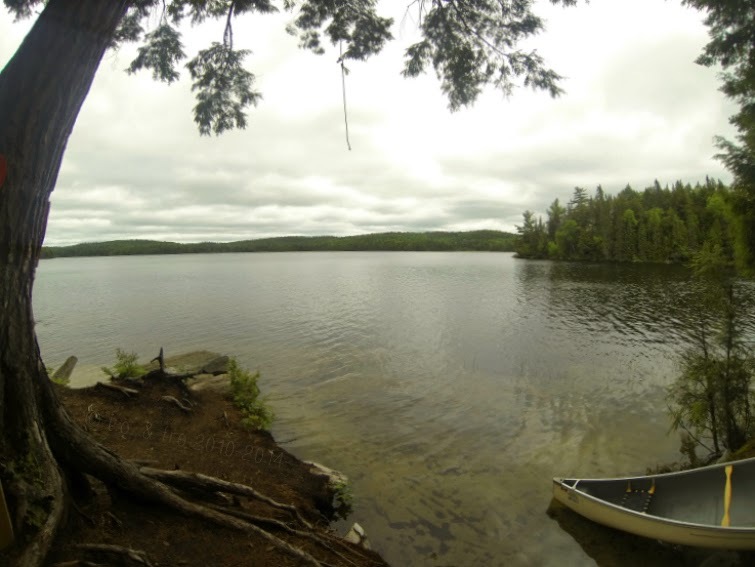 Last weekend we spent 4 whole days in the "interior" of Algonquin Provincial Park, completley disconnected. Cell phones were off and our minds were open. And yes, it poured the first night. 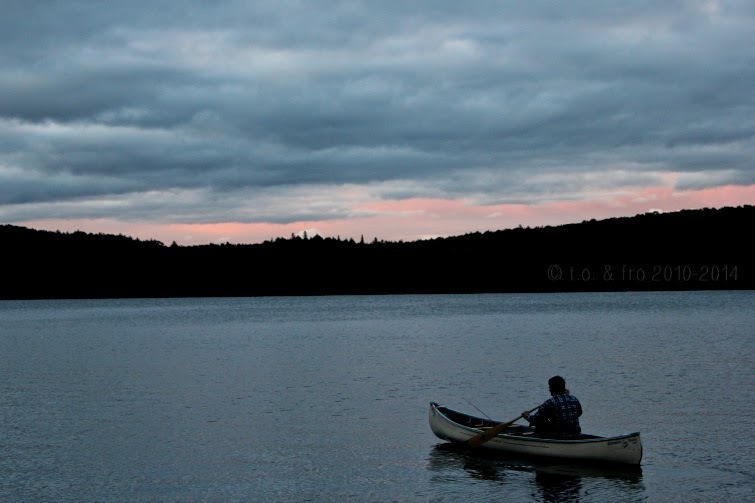 I wouldn't say I'm a seasoned "canoer", but the paddle-in campsite at Canisbay Lake where we chose to stay is a keeper. It had all the luxuries of "interior" camping - seclusion, quiet and all around peacefulness, with all the perks of a full blown campsite - less than a km from the car in case we forgot something, a fire pit and even a hole in the ground with a toilet seat. The only negative was the mosquitoes - we got eaten alive! At one point in the weekend both of my eyes were swelled shut! Ya, it was gross. Thank goodness for Benadryl. 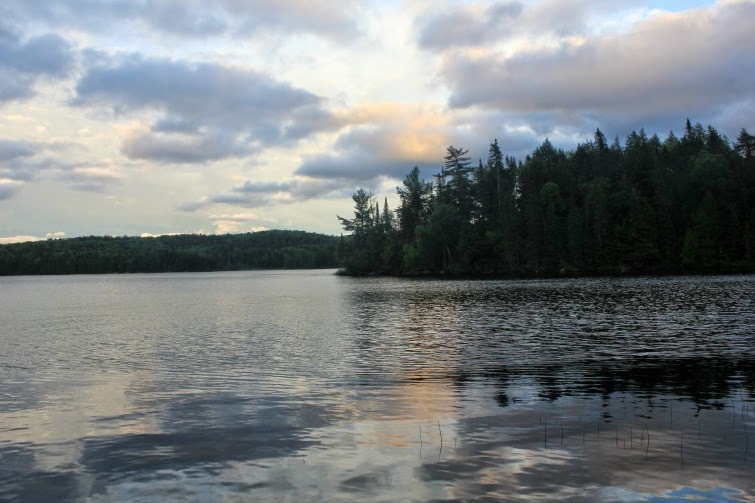 Established in 1893, Algonquin Park is the oldest, largest and easily the most popular provincial park in Ontario. 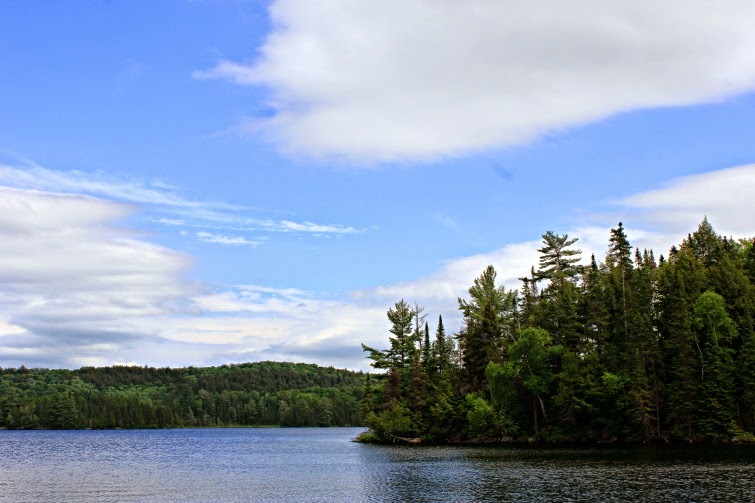 With over 2,400 lakes and 1,200 kilometres of streams and rivers, the park is considered part of the "border" between Northern and Southern Ontario. 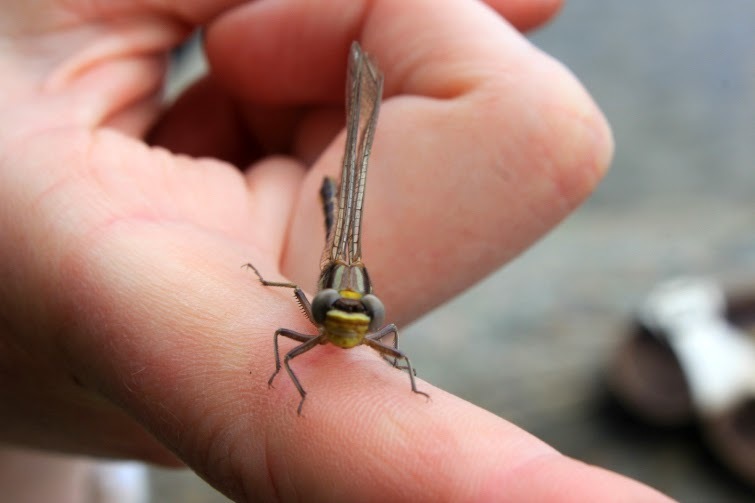 It is the largest remaining stretch of continuous forest in Ontario, and the unique mixture of forest types, and wide variety of environments within, supports an uncommon diversity of plant and animal species. 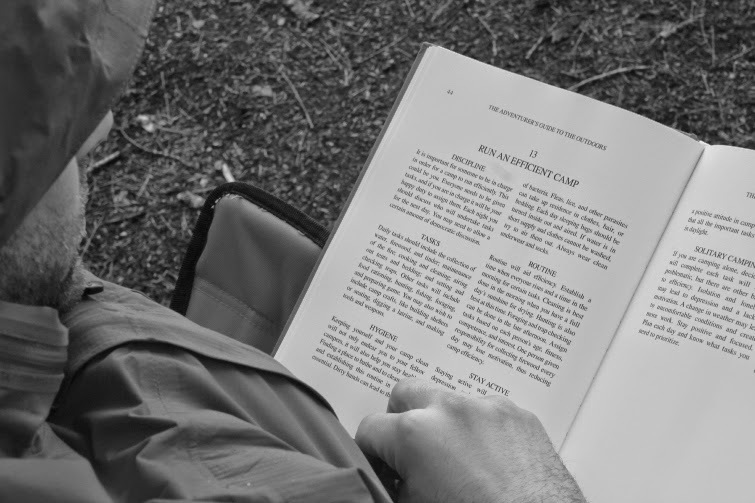 The Warden brushing up on his rules for running an efficient camp. When we left AK, we made a promise to each other that we would go camping at least once a year. 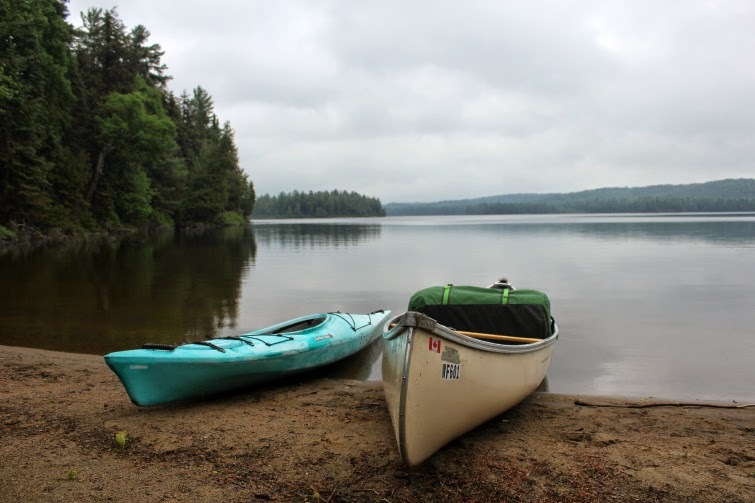 At around 2.5 hours north of Toronto, Algonquin Provincial Park is the perfect destination to escape and reconnect with nature. There's almost nothing better than falling asleep to the calming sound of spring peepers and loon calls. 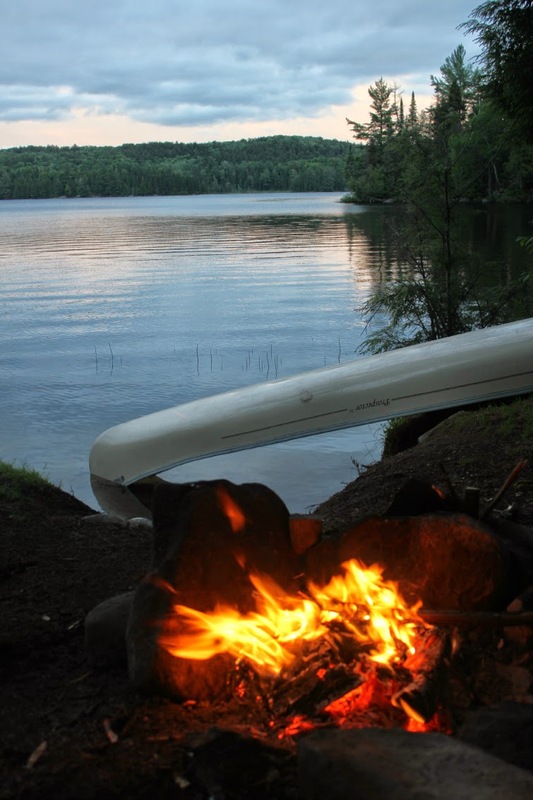 These pictures are gorgeous and now I desperately want to have a few days of quality bonding time with mother nature (sans cell phone and the mosquitoes!). Thank you! I definitely recommend it, I felt recharged. that looks so pretty.. Gary wants to go camping here in WV, but I"m not so sure about it. 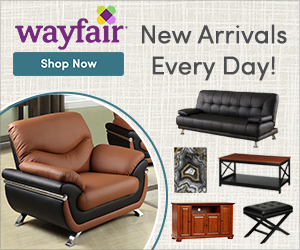 Your photos make camping look amazing! And I like the idea of no phone/internet etc. Although Mosquitos do not sound fun! I'm a prime target for them for some reason! I'm not a camping girl but I used to go caravaning which was fun! Tent camping is amazing, you've got to try it at least once! So beautiful. I miss the canoe in trips. Thanks Fran! It was so much fun! The photos from your trip are so beautiful! 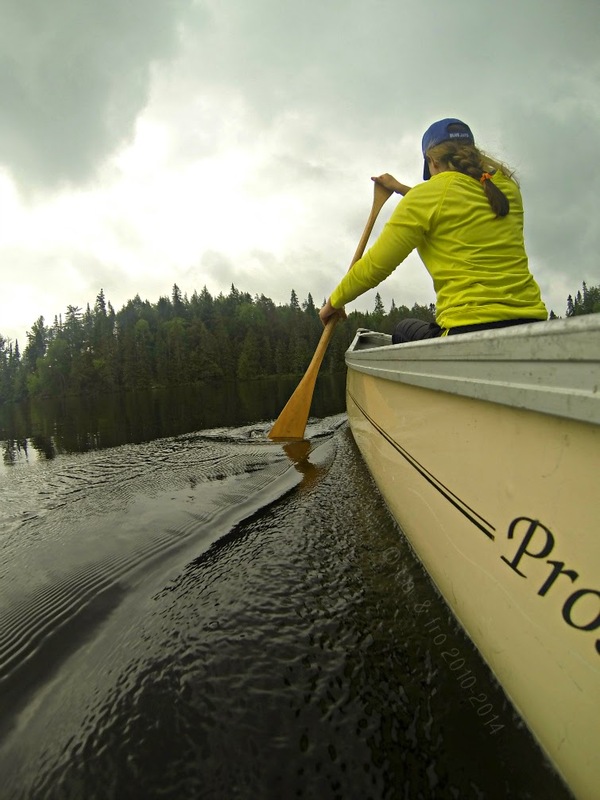 Canoeing is so relaxing + I love all the nooks that you can find, that you would miss if you were in a larger boat. Looks like an awesome trip! Thanks! I agree, especially when the water is completely calm.